Talkin' Cowboys Periscope User Stats This is Talkin' Cowboyss periscope stats website page. This is Talkin' Cowboyss periscope stats website page. Talkin' Cowboys created profile on 2015-05-27 Time 16:49:58 and last update profile time is . Talkin' Cowboys total followers is 3836 and Talkin' Cowboys total following is 1 . Talkin' Cowboys twitter nickname is TalkinCowboys. LIVE: What will Dallas do in free agency? Join @TalkinCowboys now! LIVE: Tons of Cowboys news to discuss with @TalkinCowboys on a Tuesday! LIVE: Catching up with @TalkinCowboys after a few weeks off! LIVE: What’s the #1 priority this offseason? @TalkinCowboys discuss! LIVE: @TalkinCowboys get their Cowboys-Rams preview underway! LIVE: @TalkinCowboys break down a wild playoff win for the Cowboys over Seattle. LIVE: @TalkinCowboys react to the shutout loss to the Colts. LIVE: The Colts preview is fully underway with @TalkinCowboys! LIVE: Are the playoffs a guarantee? Hear @TalkinCowboys thoughts! LIVE: @TalkinCowboys begin another #PHIvsDAL preview from The Star! LIVE: What a win! 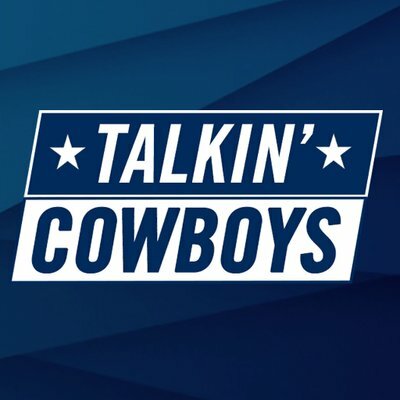 @TalkinCowboys are here to break it all down. LIVE: Tune in as @TalkinCowboys continue their #NOvsDAL preview! LIVE: @TalkinCowboys return after a long break with tons to discuss. LIVE: Back on the air with @TalkinCowboys. Give us a call! LIVE: @TalkinCowboys #DALvsPHI preview is fully underway! LIVE: Looking ahead to #TENvsDAL with the @TalkinCowboys crew! LIVE: It’s Halloween but @TalkinCowboys rolls on! Send in those questions! LIVE: The Cowboys are back in the building! Join @TalkinCowboys for the latest. LIVE: It’s the bye week but @TalkinCowboys rolls on. LIVE: @TalkinCowboys kick off their #JAXvsDAL preview! LIVE: @TalkinCowboys set their eyes on the Lions! LIVE: It’s #TalkinTuesday! Join @TalkinCowboys as they take your calls! LIVE: Final @TalkinCowboys before Dallas takes on Carolina! LIVE: @TalkinCowboys take your questions and look to Saturday’s roster cuts. LIVE: @TalkinCowboys bring you the latest Cowboys headlines from The Star!